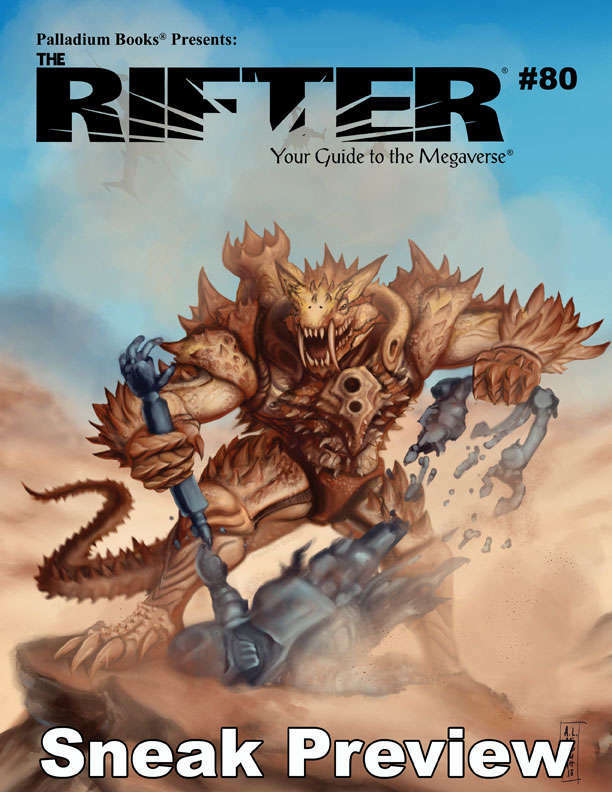 This is a sneak preview of The Rifter® #80. This sneak preview includes the front cover, credits, contents, Coming Attractions, a Palladium Product Checklist, an excerpt from the Wayfarers article for the Palladium Fantasy RPG®, an excerpt from House of the Red Sands for Splicers®, and excerpts from Chaos Earth Nebraska, Part One, for Rifts® Chaos Earth®. The Rifter® #80 will be available on July 31, 2018. For more information, please visit our website. This title was added to our catalog on July 20, 2018.